On January 25th Our Social Fabric (OSF) has a fundraising event called Re-Purposeful: A Repurposed Fashion Show. Get your tickets for this live fashion show of recycled and repurposed clothing. 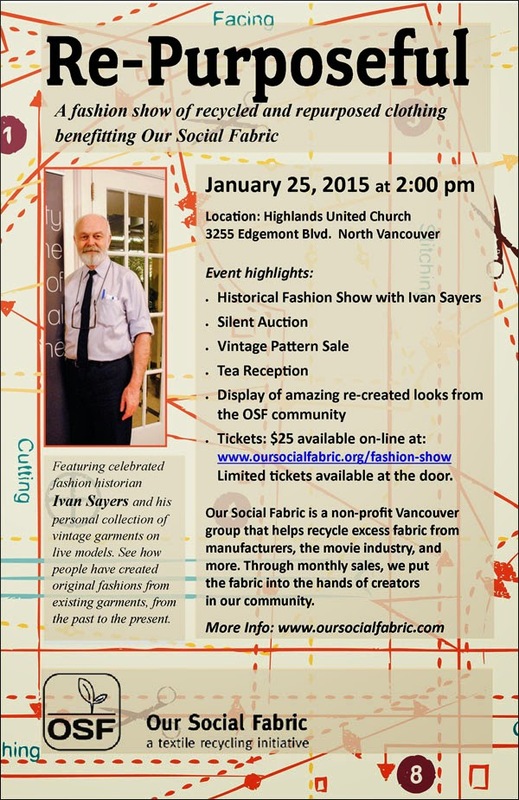 Celebrated fashion historian Ivan Sayers will show his personal collection of vintage garments on live models. 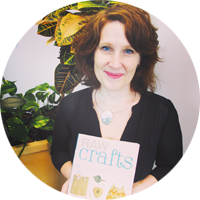 The show includes a silent auction, a sewing pattern sale, tea and baking plus amazing re-created looks from the OSF community. Contact OSF if you want to show off your repurposed item. 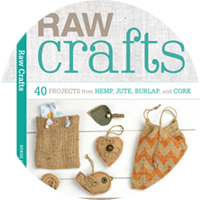 And by the way I’ll be there giving an upcycling demo. Yay! Love OSF and my crafty partner-in-crime Kat from the OSF Board of Directors. Re-Purposeful is on January 25th at 2pm at Highlands United Church (3255 Edgemont Boulevard). Buy tickets via Eventbrite.